BAT - BLOG : BATMAN TOYS and COLLECTIBLES: #BATGIRL READ - American Library Association's New PSA Poster! 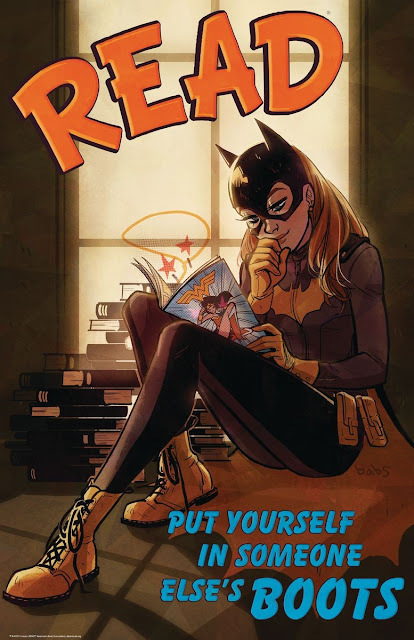 #BATGIRL READ - American Library Association's New PSA Poster! The American Library Association just released a new READ Promotional Service Poster featuring BATGIRL!! You know, you don't have to steal one of these from your local library, you can buy one of them from their official website! It's only $18.00 and measures about 22" x 34". They also have some special BOOKMARKS as well. Check 'em out! To purchase, just CLICK HERE!